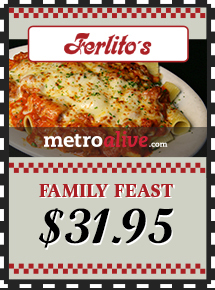 Show this deal on your mobile device and receive a Tray of Pasta (serves 5), Antipasto Salad plus Parmesan Stix $31.95. Not Valid w/ other Offers or on Holidays. One per customer. Carry-out or Delivery only.